Welcome yourself to luxury living with the Amish handmade Economy Bed. 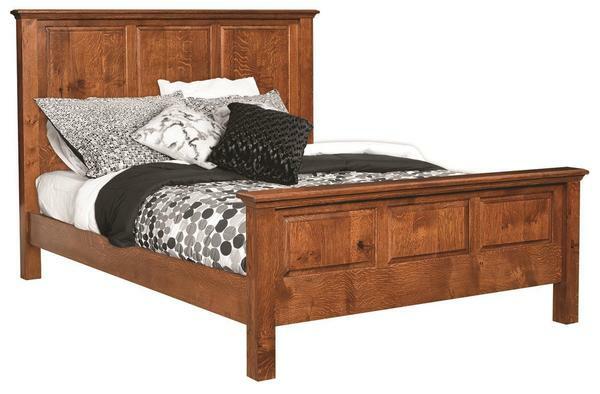 This solid wood Amish bed will be able to provide you with endless nights of sound sleep. Available in a twin, full, queen, king or California king size you are sure to find a size for your unique space. Shown in character quarter sawn white oak wood, you can get this Amish bed as it is shown in the picture or you can choose a different North American hardwood for your new bed to be crafted in. Shown in Character Quarter Sawn White Oak Wood with OCS-113 stain.